EDWARDSVILLE – Scheffel Boyle employees recently teamed up to raise funds for Big Brothers Big Sisters (BBBS) of Southwestern Illinois at their annual Bowl for Kids’ Sake fundraiser. So far, Scheffel Boyle’s teams have brought in over $3,000 in donations for the agency, and that amount may not be the final count as donations are still coming through. Scheffel Boyle’s two bowling teams participated in the event on January 28th at Edison’s Entertainment Complex in Edwardsville. 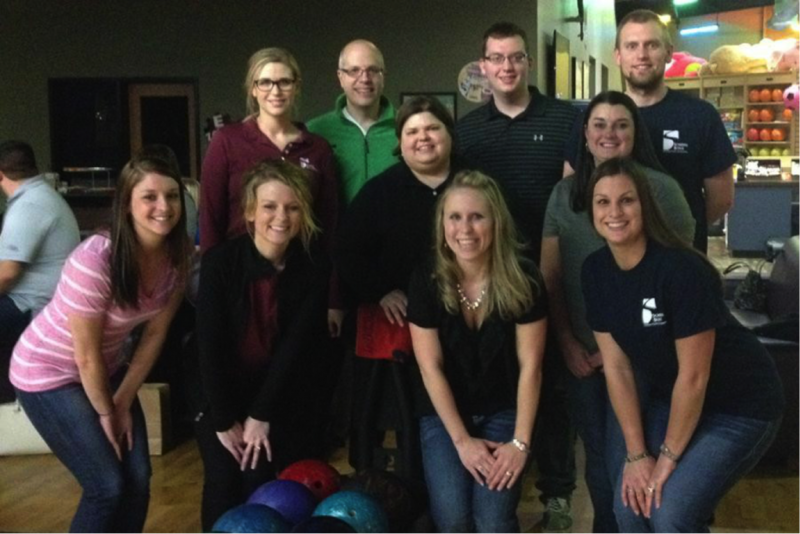 Each of the firm’s ten bowlers had their own fundraising efforts involving lots of social media activity and networking to come up with every dollar they could for the event. Scott Weber, CPA and Principal at Scheffel Boyle’s Edwardsville office, serves on the Board of Directors for BBBS of Southwestern Illinois and is always excited to see his coworkers rally behind an organization that he is passionate on supporting. BBBS has been changing lives of youth throughout the U.S. for more than 100 years. According to their website, they are recognized “as the nation’s largest donor and volunteer supported mentoring network.” Their mission to “nurture children and strengthen communities” is supported through donations and fundraising events, such as Bowl for Kids’ Sake. Bowl for Kids’ Sake has five other event dates from now until mid-April. For information on how you can donate or participate, visit bbbsil.org/bowl.